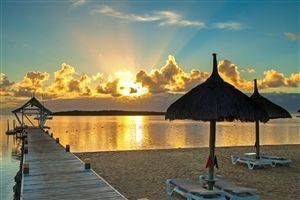 Situated on a private peninsula on the South-east coast of Mauritius, newly renovated Preskil Beach Resort invites travellers to bask on its soft-sanded stretch of beach while being treated to world-class levels of service. 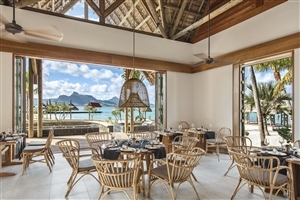 Designed with a sense of elegance that steers away from being too obtrusive, the resort blends its unique sense of refinement with the Creole elements that are commonplace on the island of Mauritius, creating a unique haven that is sure to impress even the most discerning of travellers. Gaze out across the sea from your chosen accommodation and unwind in style with the comforts and conveniences of the Preskil Beach Resort, Mauritius’ only private peninsula getaway. 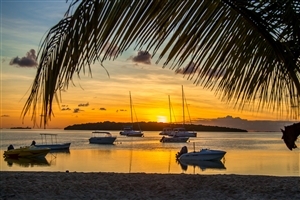 Newly renovated Preskil Beach Resort graces a secluded peninsula, with its four spacious beaches and spectacular views across the lagoon and the surrounding mountains. This elegant resort is a convenient 15 minutes from the airport. 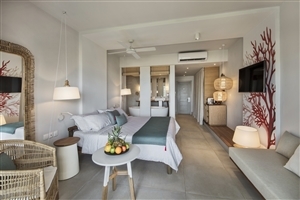 The Lagoon Room offers guests 38sqm of accommodation space designed with tropical tones and settled amongst the natural beauty of an island garden to create a sense of intimacy for couples and honeymooners to enjoy. The room features a private balcony/terrace that showcases views of the sea. The Prestige Cottage offers guests 42sqm of accommodation space filled to the brim with comforts and conveniences designed with families and couples in mind. 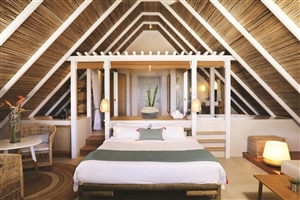 The cottage features a private balcony/terrace that showcases views of Lion Mountain, l’Ile aux Aigrettes and the sea. The Deluxe Penthouse offers guests 64sqm of accommodation space beautifully designed to boasts some of the most incredible views the area has to offer. 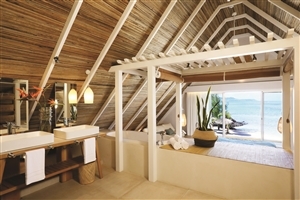 The penthouse features a private balcony/terrace that showcases views of the Indian Ocean. 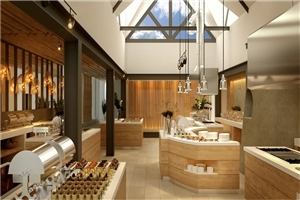 Spices – Enjoy a delicious selection of breakfast and dinner dishes at the hotel’s main restaurant. 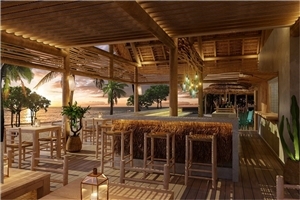 Tapas Grill & Beach Bar – Revel in the fine flavours of grilled delights at this a la carte venue located on the sand. Charka Steak House & Bar – Whet your appetite with succulent cuts of steak imported for South Africa in a refined setting. Indigo Bar – Choose from a variety of tropical cocktails at this poolside bar. In-Room Dining – Settle back in the comfort of your own accommodation for dinner with this service.